A developing flock of laying hens adds an additional source of protein to our offerings at the market. Currently, we have two small flocks: one composed primarily of Barred Plymouth Rocks, and the other Buckeyes. 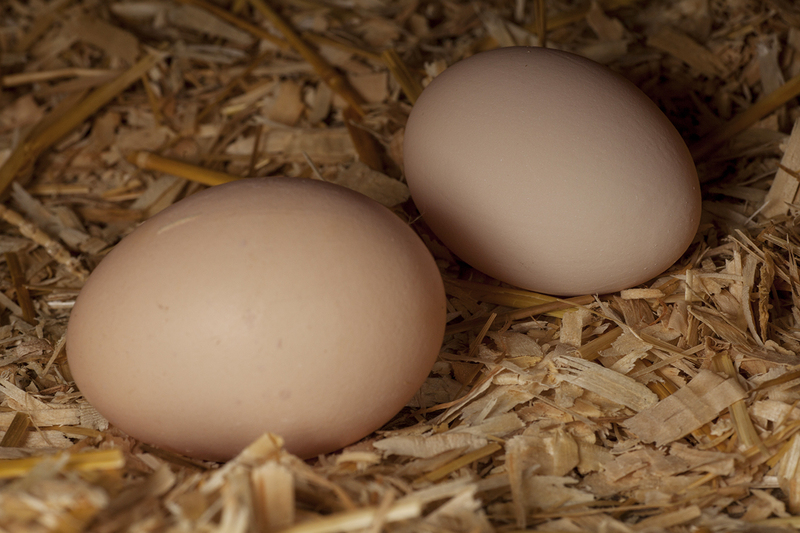 We are working toward establishing a heritage breed of chickens to limit reliance on regular purchases of chicks. The chickens are raised on pasture and organic feeds, spending as much time outdoors as weather permits. We also have the oldest hens and surplus roosters processed each fall for sale as soup and stewing chickens in winter. Our certified organic eggs sell out early in the day at market. Owing to the limited quantities, we are not able to take reservations for eggs.